PennyPinchingParent.com has teamed up with YouCanMakeThis.com to offer a great bundle of patterns worth $50. Check out the PPP website to see exactly what patterns are included in this bundle, and then be sure to check out the YCMT website to see what a great variety they offer. There is something there to appeal to every sort of crafter. There's even a promo code for 10% off your order until Dec. 10: Penny10. I'm loving the little reversible apron dress at the top of this post, and I may have to grab it up with the 10% off coupon! What's a boy to do when his big sister wants to play dress up? There's probably no hope when this is how big sis likes to dress herself up! It's pretty obvious that Ivy will go to any length to avoid cleaning up her room. Not to be left out...Here's Holly! Look what I woke up to this morning! Yuck...it's cold out. It's only November, we really shouldn't be getting this stuff now, should we? I'd like to know who is responsible for this. As a transplanted California girl, this is not my favorite season. At least the kids are thrilled. I should say some of them, that is. When I opened the goat barn this morning, the girls barely wanted to step outside. Even with the lure of their food, they took a couple minutes to conquer their snowy misgivings. Being February babies, I'm sure they have seen snow before, but this is the first snow this season. It was a bit comical. Note to self: remembering gloves for winter feeding times will prevent painful frozen fingers! 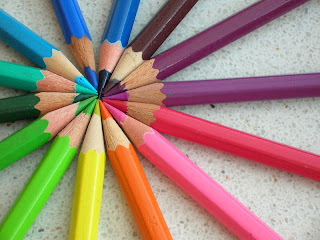 Moral of the story: No more colored pencils for Finnie! Seriously, it could have just as easily been nearly anything. One of the ER nurses said they get M&M's in a lot. Why eat it when you can stuff it up your nose? As a followup to my last post, the bread turned out great. I'm going to try half and half next week with the wheat flour. When I'm out of wheat, I think I'll buy some rye flour and give it a try. Ivy's review was that it was pretty good, but she likes the regular better. And finally, I thought I'd post a picture of Holly's tooth--the new bane of my life. You can just barely see that little white lump down in the front. She has been taking teething much harder than either of the other two did. I can't wait for her to get the whole set in and be done with it! I did think this picture was particularly cute, though. For the last few months, I am happy to say I have been making my own bread from a sourdough starter that I also made myself. This morning I decided to try two new things with it--1. substitute honey for the sugar, 2. use wheat flour. I used the same amount of honey as the recipe calls for sugar and reduced the liquids by 1/8 cup. And I substituted 1/3 of the bread flour for wheat flour. We'll see how it turns out. Now I'll be leaving it to rise for the day while we go to Joann's. (Yay!) Thread is on sale for 1/2 off and so are clearance fabrics. If only the notions wall was, it'd be the perfect sale! Did I mention there is a save an addition 10% off your entire purchase coupon in the ad? I'm trying not to blow the budget too bad though because I happen to love their Black Friday sale, and that is just around the corner. One of these days (years? ), our kitchen is getting an overhaul to be more spacious and functional. Until then, every time I find something I like, Paul tells me to save the picture. So I'm getting a collection of torn out magazine pages so I don't have to remember all the ideas that I love. So here's another idea that looks like a keeper. The Post-It Place is hosting a give-away of a magnetic spice rack. This rack can take care of the clutter of spices that may be crowding counter or cabinet space. 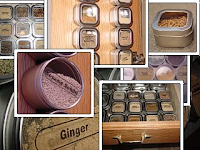 Plus it just looks nifty and attractive to have your spices in plain view like this. I actually have a similar, a lot smaller, item in my sewing room on the wall next to my sewing machine. So maybe that is why I like it so much; I just never thought of it in the kitchen. Would you look at that crazy bed-head! Somebody needs a haircut, but I've been putting it off. He's had a total of three haircuts up until now. Nanny from England gave him his first haircut and his most recent. I took the shears to his head between times. Now little mister was perfectly behaved for Nanny both times, but when I did it he screamed, "Ouch, ouch!" the whole time. And I promise I didn't nick his ear even once, although it was particularly nerve wracking since he wouldn't hold still at all. I suppose I will have to give in and do it again since his grandparents aren't going to be here again until March. Maybe he'll be nicer to me this time! A contest that is tutu cute! 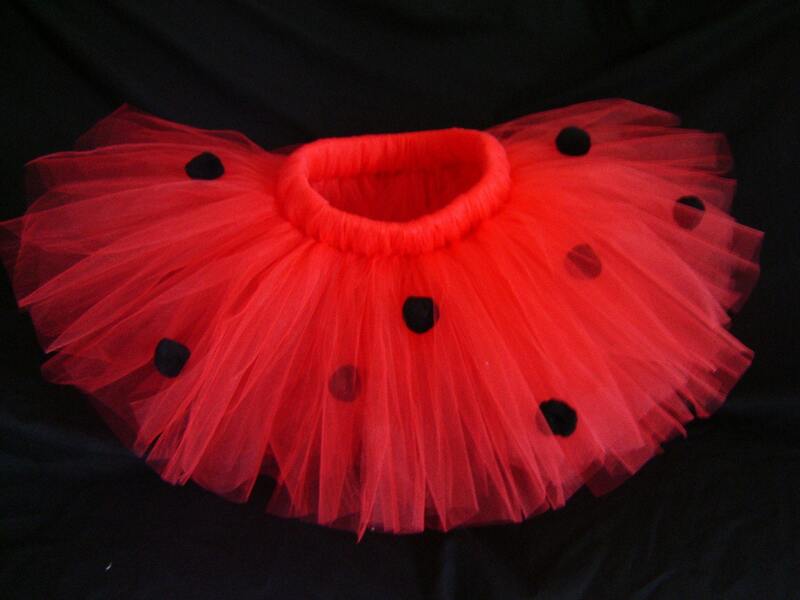 Chocolate Fingerprints is giving away a tutu from Naptime Creations on their blog right now. Can I just say how cute both names of those blogs are? 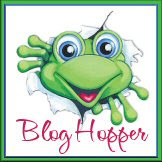 I couldn't resist clicking the link for Chocolate Fingerprints from another blog just on name cuteness alone and I was rewarded by finding this contest. Heavens knows my house is full of fingerprints--some of them are probably even chocolate knowing Finn's enthusiasm for all things chocolate! And I can totally relate to only having time to create when little ones are napping. Getting two to nap at the same time is the real challenge. Actually, they are both asleep at the moment, but I'm not in my sewing room because Holly is using me for a pillow and she will almost certainly wake up within 2 minutes of being put down, so that only leaves me enough time to frustrate myself. Enough chatter--check them out if you have a chance! Well, really an afternoon. It was so pretty yesterday and being that there was also no school, I gave in to Ivy's plea to go to the park when we went to town. I wasn't the only parent with the same idea. It was really busy with little kids. Our highlight was carrying Finn back to the car kicking and screaming because he wasn't ready to leave yet. I was hoping for a picture of all three together, but planned to get it when we were leaving since I was wearing Holly. Unfortunately that didn't happen because of Finn's extreme disappointment leaving the park. At least I got pictures of all three of them.